key cards silts are available free of charge. This promotion may be used with other valid promotions (including those found on external websites). Paper 2 1/8" x 3 3/8"
Side 1 printed with 1 PMS color using heavy coverage on 12pt C1S White Semi-Gloss stock. Coated with Aqueous Gloss. Side 2 printed with 1 PMS color using light coverage. K2 business card slits on right pocket. 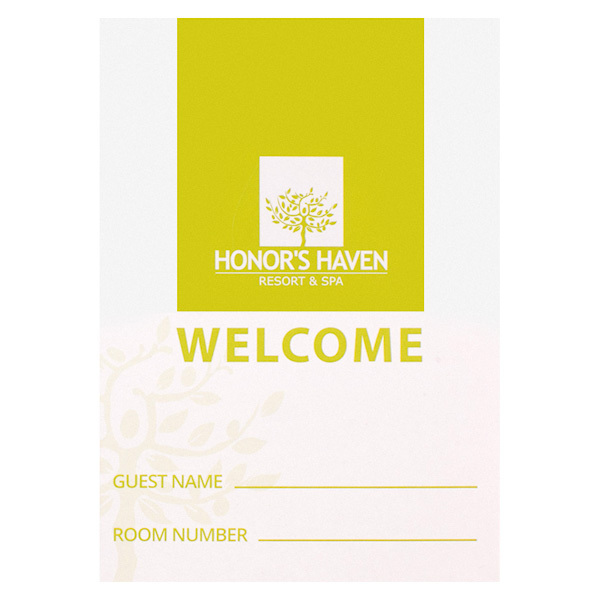 Guests receive a warm welcome with these key card holders from Honor's Haven. The resort and spa's name and logo are featured on the cover, along with a space for guests' names and room numbers at the bottom. Squares in the logo represent balance, while the tree adds to the calm, natural theme. Inside, a welcome message is featured on the left side along with check in and check out details. On the right is the company’s no smoking policy, along with directions on how to use the key cards. Contact information is on the back. Four-color process printed on Side 1 of uncoated 80lb Smooth White stock. An adorable white and tan dog welcomes animal owners to PetSafe. 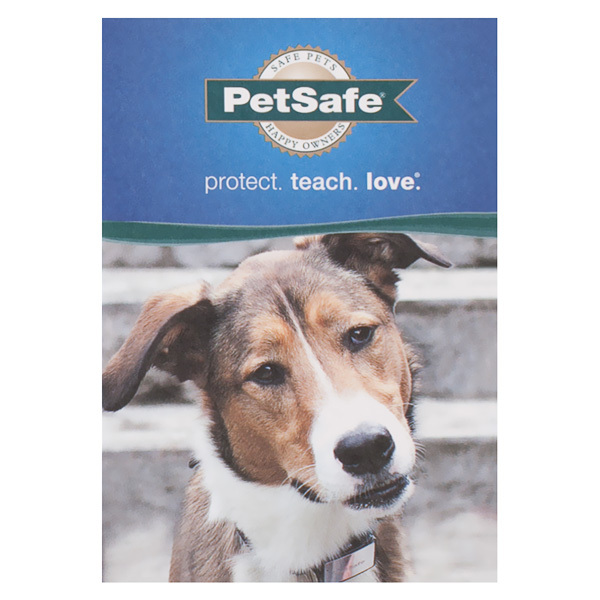 The pet supply brand's blue and green colors suggest security and nature to reassure owners of their pet’s wellbeing. A call to action on the back of the design encourages them to call with any product questions. The phone number is printed in large, highly visible letters just above the store’s hours. At the bottom of the page, a URL encourages pet parents to shop online. What appears to be a right pocket is actually an unglued card flap. Its die-cut slit houses a 2 1/8" x 3 3/8" gift card or hotel key card. The vacant left panel provides a spacious design canvas, making it an excellent place to include gift amounts, hotel check-in or -out times, or even a map of your business or its surrounding areas. Both exterior covers are also fully customizable with branded elements, imagery, or writing. Dimension Closed: 3" x 4 1/4"
Dimension Open: 6" x 4 1/4"
Acceptable Insert Sizes: 2 1/8" x 3 3/8"